The Kilt’s association with the great deeds of valour on the part of the Highland Regiments inspired patriotism and self-esteem. 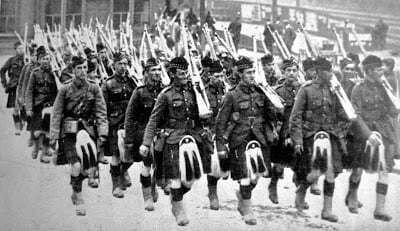 The men were proud of their Kilt and it raised morale. It kept the most vital part of the body, the middle, warmer than trousers. 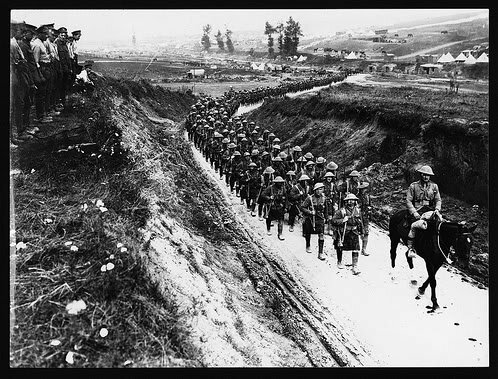 It helped protect them from constant wet, especially in winter when conditions in the trenches were often extreme. They often had to wade through waist high water for a certain distance. At this time, unlike trousers, they could take off the kilt and hang it around the shoulders, without removing boots and puttees. In burning heat, in quiet sectors, soldiers could discard the kilt itself and just wear the khaki apron. When the kilt was worn regularly, the skin soon hardened, so that the legs and knees felt no more cold than the hands or the face. At the front, at night, when there was a keen frost, the men often had to stand in icy water, but they apparently did not feel the cold more than the rest of their body. Usefulness and comfort were proved in the freedom the kilt gave to the limbs. This was seen by the long easy stride of kilted men on the march, which made them dislike marching behind trousered regiments. When “mustard gas” was first used, it was expected that the Highlander would suffer badly from the effects of burning on his bare legs. However, the gas generally attacked the parts of the body where the skin was tender and the Highlander’s legs were as tough as his hands or face. Another common occurrence for burning was when men sat on the ground saturated with “mustard gas”. The kilt offered protection by being much thicker than trousers, which meant that the gas did not penetrate so easily, and the kilt swinging in the air dispelled the gas more easily. Going through barbed wire in the dark. 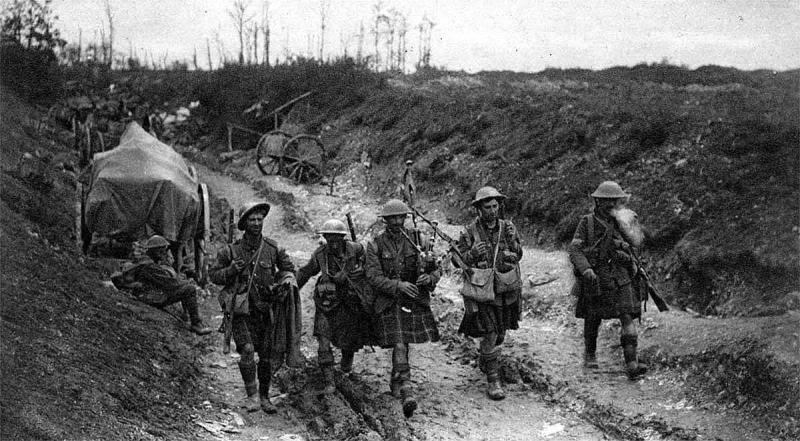 The kilt was more easily caught than trousers and the Highlanders’ bare legs could be cut on the wire which could quickly turn septic in the trenches. 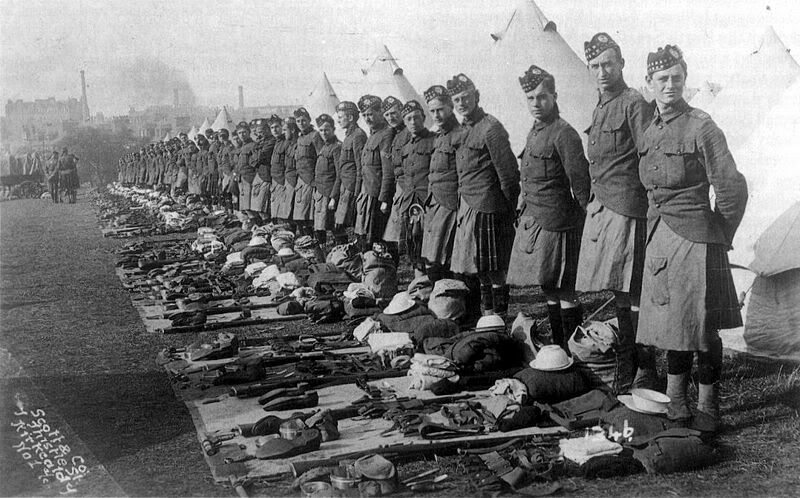 Those who served in the trenches came out lousy, and lice were a particular problem for Highland soldiers, for they bred in the seams of the kilt. 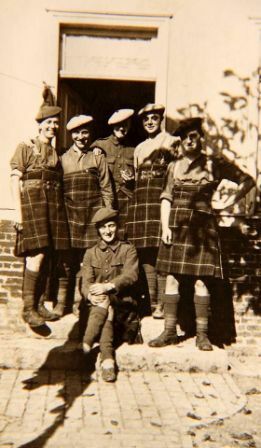 Kilts would be fumigated in delousing centres when the soldiers came out of the trenches, but this was not always successful, and soldiers would run candles or a hot iron down the seams of the kilt in frequently vain attempts to get rid of them.